Business owners are always on the lookout for banking resources that can assist them with managing their financial assets and holdings. Treasury management services can help streamline business finances by managing cash, investments, and other financial assets. So what is treasury management exactly? It is a management system that aims to optimize a company’s liquidity, while also mitigating its financial, operational, and reputational risk. Learn more about treasury management, how these services work, and why you should speak with business banking professionals today. 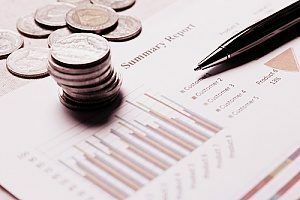 One of the main functions of treasury management is to determine the proper levels of cash or cash equivalents to allow businesses the ability to meet their financial obligations. Having a treasury management system (TMS) in place is crucial to ensure that a business successfully manages their financial risk. Treasury management systems involve the creation and governance of various procedures and policies designed to help companies better manage their cash flow and all of the aspects that go with it, such as payables, receivables, interest rates, and foreign exchange rates. Managing cash well is crucial for businesses of all sizes. Even the most profitable of businesses can fail if there is insufficient cash on hand to cover bills and other financial obligations. Through treasury management, companies are better equipped to monitor the amounts and timing of cash inflows and outflows. It is also the role of treasury management to extend the time needed for a company to retain the money needed for bills and to reduce the time it takes to receive money from customers. 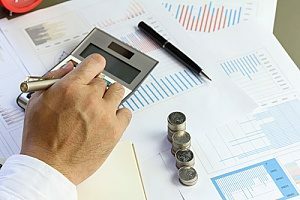 A bank’s treasury management/cash management division, is a highly specialized area designed to meet the unique investment and risk coverage needs of institutional and corporate customers. As part of an investment banking business, the treasury provides innovative and collaborative services that aim to better manage your company’s daily financial planning and functions. There are numerous ways that treasury management services help businesses, such as by addressing account efficiencies, automating account receivable functions, and integrating bank data into the internal systems to improve forecasting, decision making, and cash management. Treasury management can also be useful for guarding against fraud by making use of fraud prevention products. Banks that offer treasury management services are empowered to better understand the unique processes, cultures, and needs of each individual business. To achieve this, financial institutions will often consult with their customers to determine which banking services will best help them reach their objectives. Most banks serve all types of businesses, including small businesses, non-profit organizations, corporate companies, and government entities. They often offer products and services linked to several important business functions, including investments, disbursements, collections, and information reporting. The goal of these products and services is to help simplify business functions and keep your cash flowing. Treasury management services provide businesses with a number of unique benefits. One of the biggest benefits is time efficiency. By implementing a treasury management system, businesses are able to streamline the payment process and reduce the time spent on payment authorization and initiation. In addition, treasury management allows for certain cost savings. With access to various tools and resources, businesses can immediately detect the cost of cross bank transactions and take better control of other related fees. Having more control over these processes also takes some of the guesswork out of financial planning which reduces the likelihood of costly errors. Treasury management systems have changed dramatically in recent years. While the primary goals of TMS are to improve efficiency, save time, and increase productivity, there are other benefits to consider. 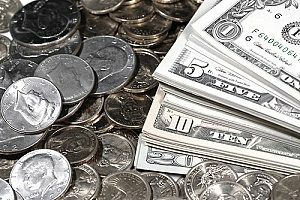 Cash visibility is a major perk that comes with treasury management as it allows decisions to be made in a positive way that affects a business’s bottom line. Treasury management includes forecasting which allows the ability to obtain additional yield on investments, lower cost borrowing decisions, and pay down debt. In addition to offering cash visibility through forecasting methods, businesses can feel confident in their forecasting thanks to detailed variance analysis. Treasury management systems have really changed the game in terms of financial management. With these automated systems, treasury departments are now able to communicate or interface with banking partners to store and pull data in real time. Having cash management, payments, reporting, accounting, and banking information all in one centralized location allows businesses to reap the benefits that affect their bottom line. Treasury management continues to play a vital role in keeping business finances on track, while simultaneously increasing a company’s control over their cash flow. For more information about treasury management services for businesses or how to acquire these services, contact the business banking professionals at FVCbank.